Share the post "N.E.S. Inc. Sponsors of PikeRide Bike Share Program"
N.E.S. Inc. PikeRide Tour of the Legacy Loop! As proud sponsors of the new PikeRide bike share program, members of the N.E.S. 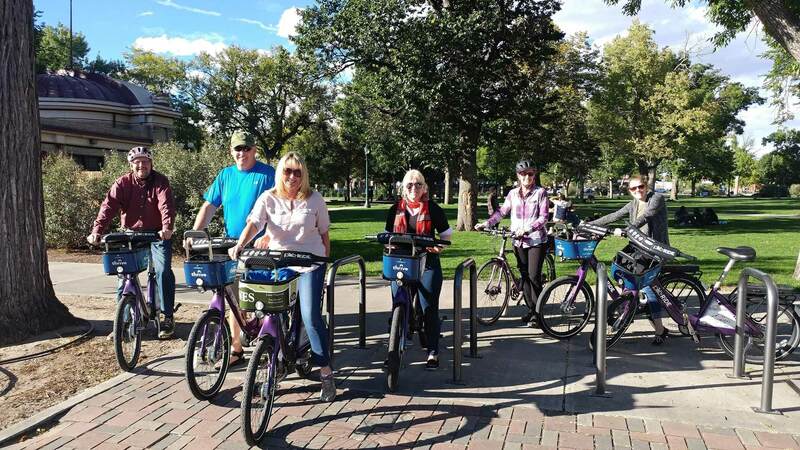 Inc. staff and family rode the Legacy Loop and checked out some exciting projects in the downtown Colorado Springs area on a beautiful, sunny fall day. PikeRide, Colorado Springs’ first bike sharing program, was launched June 26, 2018 in-conjunction with Bike to Work Day. Bike to Work Day encourages bicycling for personal and community health, alternative transportation, recreation and sustainability. PikeRide, Colorado Springs’ first bike sharing program will feature more than 200 purple bikes and 28 hubs serving 12 square miles. Additional information is available at PIKERIDE.ORG.